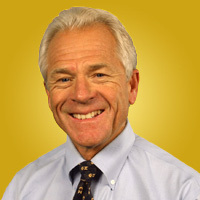 Peter Navarro is a business professor at University of California-Irvine. His work has appeared in BusinessWeek, The Los Angeles Times, The New York Times, The Wall Street Journal, Harvard Business Review, and MIT Sloan Management Review. A gifted public speaker, Navarro has been featured on 60 Minutes and has appeared on Bloomberg, CNN, NPR and all three major network news shows. He is a regular CNBC contributor and has testified before Congress and the U.S.-China Commission. He is the best-selling author of The Coming China Wars, Always a Winner, and Seeds of Destruction (with Glenn Hubbard).